To remedy this problem, the concept of “Marching Squares Skirts” is introduced. With this, the holes between the chunks are closed with some additional triangles. This has the advantage, that the chunks are still completly independent and later, things like paging are easier. To build this skirts, Marching Squares is used. 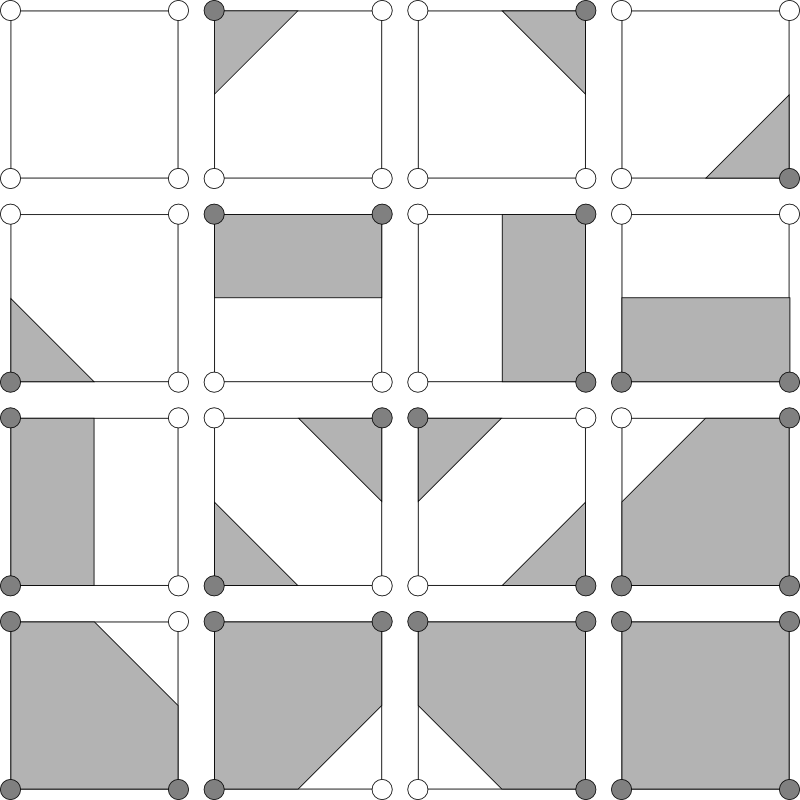 Marching Squares is the two dimensional case of Marching Cubes. Lingrad et al show how this algorithm works with its possible configurations by creating the isosurface of a 2D volume consisting of lines [LCGR02]. The skirts are build at the corners of the outer dual cells of the chunks dualgrid (see Dual Marching Cubes). 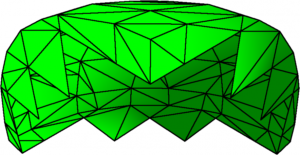 As in Marching Cubes, the diagonal configurations have multiple valid triangulations. But the configurations in figure 3 are chosen in a way that they always fit to the used Marching Cubes configurations and no conflict appears. Have a look at figure 4 for the result of this tweak. The left side doesn’t have it, on the right it is applied. level, errorMultiplicator and baseError will be explained later when building up the chunktree. skirtFactor is a user choosen factor to add some more control. 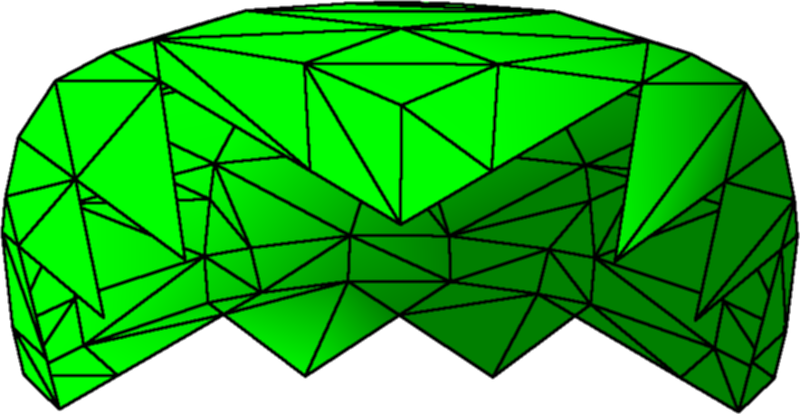 The smaller it is, the less triangles are generated. But if it is too small, cracks might appear.